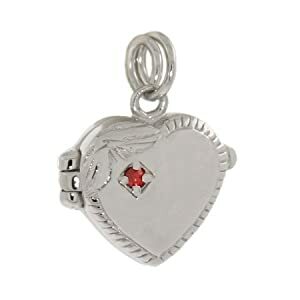 Ruby Heart Locket - Is There A Better Symbol of Eternal Love? 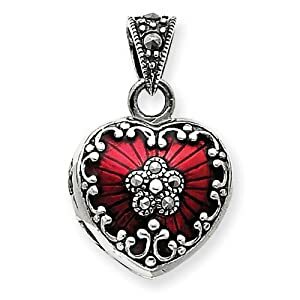 A ruby heart locket will NEVER go out of style. This why these lockets are such fabulous gifts for the special people in our lives. With its heart shape and ruby gems, it’s a classic and lavish way of letting someone know how much they mean to you. 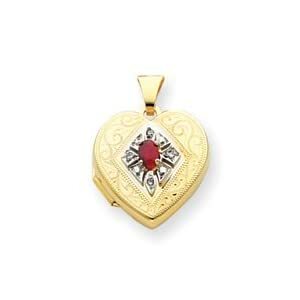 A ruby heart locket is one of the many pendant styles which have been around for ages. 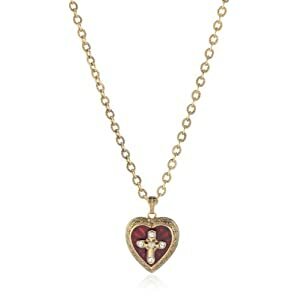 It features pink to deep red ruby gems which signify love or passion, and can either be given with or without a necklace. Lockets and rubies have been around for a long time and have similar elements of mystery and history, making them a great combination. Lockets have been around since the Victorian Era. This jewelry piece is usually worn around the neck with a chain. Aside from their exquisite designs, lockets are also well-known for their function – to hold keepsakes, usually a photo, inside. Conventional lockets can hold one up to two photos – one on each side. But some, which are custom-made, can hold up to 8. During World War I, lockets were not only used by women as jewelry but by British and American military men too. Instead of photographs, their uniform lockets contained a mini compass which they used for navigation. Rubies have also been around for centuries. These stones are not only valuable but are full of mystery as well. Apart from being known as the birthstone of July, ruby gems are popular for a multitude of beliefs and legends that surround them. In ancient times, people believed that a wearer or owner of a ruby gem is blessed with health, wisdom, wealth and love. Some say rubies also bring confidence, loyalty, courage, vitality and strength, while others believed in its spiritual and medicinal powers. These beliefs have been adopted and passed on from generations to generations and are still alive today. In fact, in this modern day and time, there are still a large number of people drawn to the mystic powers and capabilities of ruby gems and other precious stones. The combination of a locket’s vintage feel and a ruby’s romantic representation make ruby heart lockets the perfect keepsake. Therefore, ruby lockets don’t come cheap, but prices may vary depending on gem quality. Most of the finest rubies are found in Burma, but rubies from Thailand, Kenya and Tanzania are of good quality too. But the value of these beautiful heart-shaped lockets is not only based on financial cost. 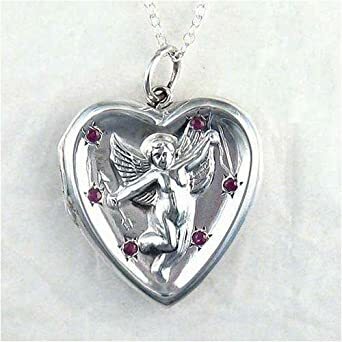 In my opinion, the most value ruby heart lockets have is that they offer a very personal way of keeping our sentimentalities close to our hearts for a lifetime.